Here is a woman who made false accusation against her husband to keep him away from his daughter. She was exposed on national TV. A few years ago, this would never have taken place, the feminists had too much power, that is what I mean when I say it is starting to change, everyone is starting to realize that the disease of false accusations perpetrated by the feminists, is destroying families and society. And that some women use it against good fathers for revenge, vendettas and especially custody. Here is the longer version. Remember this, many fathers go through this, and the pain and damages it causes is unbelievable, to the father who has to go through false accusation but mainly to the children who has their relationship with their fathers stolen from them. All this because of feminism. 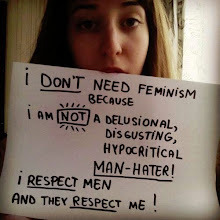 Do not support feminism, do not support businesses that finance them, support the family, equal rights for all. Family includes mothers and fathers for the good of the child. All fathers want their daughters to achieve the best they can be, no fathers wants his daughters to be subservient to their husbands. So what are feminists talking about, when they say all men are bad and we want women to be barefoot and pregnant????? And why are these clowns of society still around? Riiiiiight on. We need more truth to be exposed. As a dad myself, this is the most nightmarish fear we all have, to be falsely accused for custody. Gawd...how biased are you? You think for one minute this doesn't happen to women as well? Ask a lawyer. So this happens to women, ok, show me, I tried to find some, with very little success. I goggled "men making false abuse accusations against women”, with and without the parentheses, guess what, not even one, actually I got, No results found for "men making false abuse accusations against women". I am sure there are some, but it usually goes nowhere and the statistical difference is astronomical. Equality is best serve by telling the truth, our children are watching us, dont you agree? to the 3rd comment, biased? are you for real? have you read any of the posts? it promotes families, sons and daughter, fathers and sons. Feminist are not bias? How many time have I read, "not all men or women are the same" or "the majority of people are good"? this blog is unbias if anything. And are you serious, you think this happens to women just as much as men? wow. to Gawd, no it does not happen to women, we dont make false accusations. you ask a lawyer, or inform youself before you make silly comments. love it. its about time someone takes on these liars.